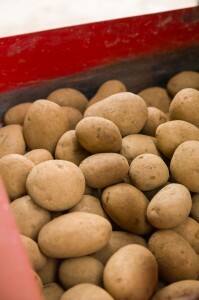 We are suppliers of prepared vegetables to bakeries, wholesale suppliers and the catering industry. 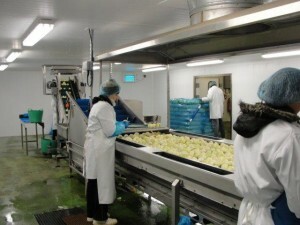 Situated at Antony on the Rame Peninsula in South East Cornwall H F Produce is a leading force in the production, procurement and sale of fresh top quality prepared vegetables. 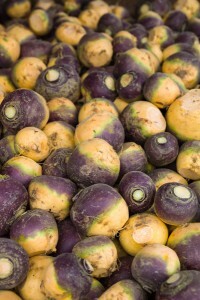 Prepared vegetables include potatoes, onion, swede and other vegetables washed, trimmed, peeled, diced or sliced as required. 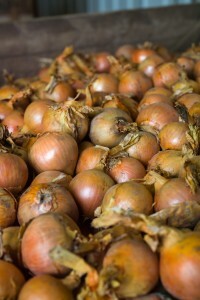 H F Produce in particular, is re-known for the freshness of its prepared onions which are peeled daily on our modern peeling lines for customers in the South West. We can offer a ‘just in time’ chilled delivery service to bakeries needing bulk quantities. 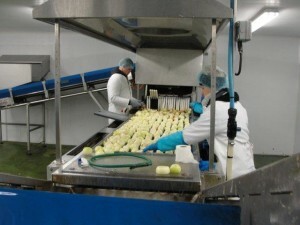 Our washed and peeled vegetables can be prepared and delivered within twenty four hours of ordering where this is important for continuous production. 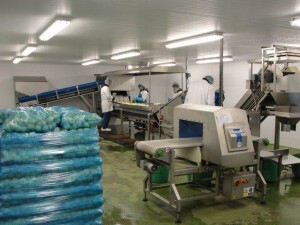 H F Produce sources the majority of its vegetables from Cornwall where the mild maritime climate has significant advantages over other growing areas in the UK. Our own farms produce potatoes, swede and onions in South East Cornwall and we have established links with other growers locally and nationally who grow produce specifically for us. Copyright © 2019 H F Produce Ltd. All rights reserved.